This model shows the proposed downtown master plan developed for the City of Modi’in, Israel by Boston–based Moshe Safdie Architects. 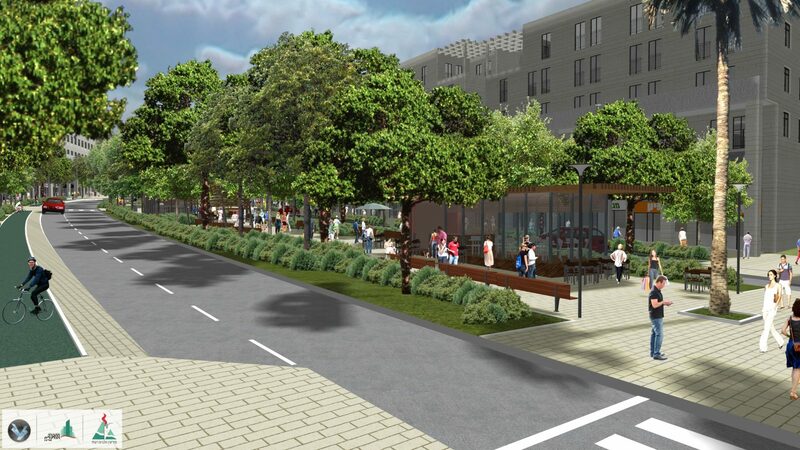 The plan features a “healthy campus” oriented central boulevard with wide pedestrian areas, fountains, kiosks, dedicated bicycle lanes, lined by commercial businesses. The model is being used for public outreach and for marketing to developers and business owners.